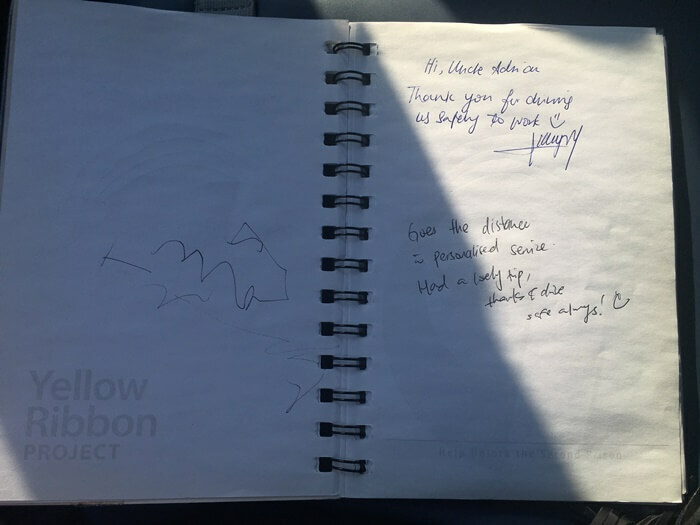 This Taxi Driver Has A Notebook For Passengers To Pen Their Feedback, And It's Full Of Compliments! There are two types of taxi drivers in the world — the good and the bad. The good? They’re the ones with responsibility and superb driving skills. The bad? They’re the sneaky ones who deliberately take the long-cut to boost their cab fare. I used to think that finding a top-notch taxi driver in Singapore is as rare as a good hair day for Donald Trump. Well, not anymore. 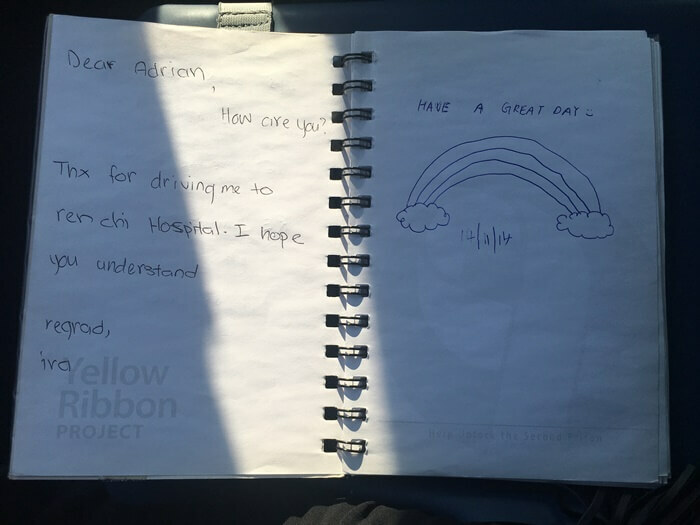 A Vulcan Post reader, Audrey, recently emailed us her recent encounter with a good-hearted taxi driver in Singapore and it has restored my faith in humanity. 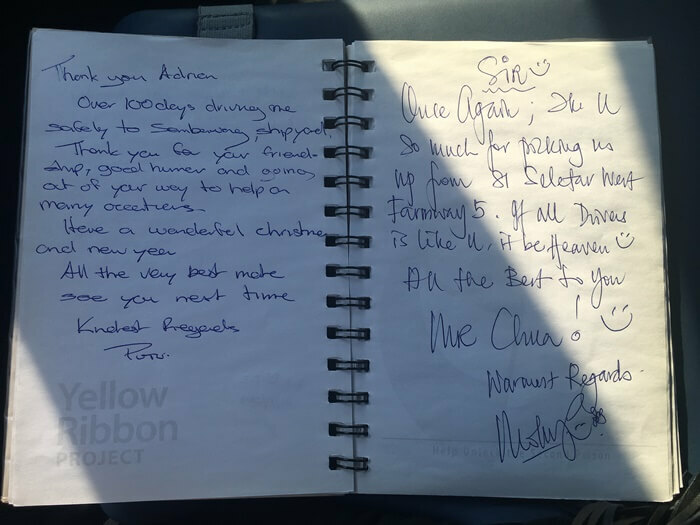 Meet Adrian Chew, a Singaporean taxi driver who goes the extra mile to ensure the comfort of his passengers. 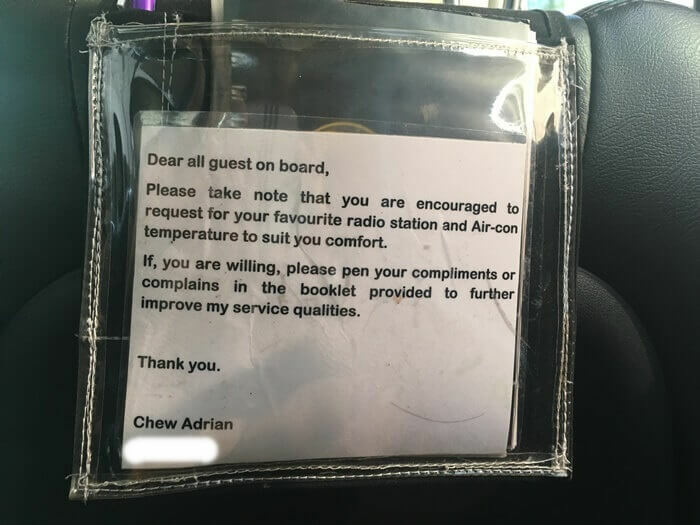 Not only does he encourage them to request for their preferred radio station to tune into, but he also sets the air-con temperature to suit their comfort in an effort to make them feel more at home. 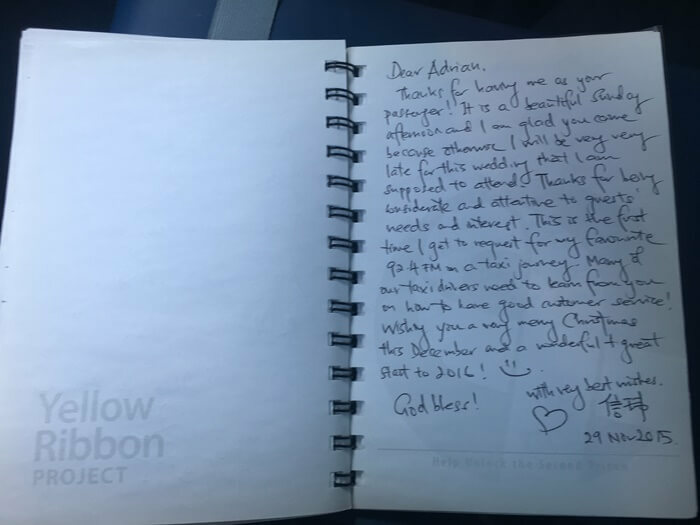 There’s a notebook at the back for the passengers to pen their feedback on. 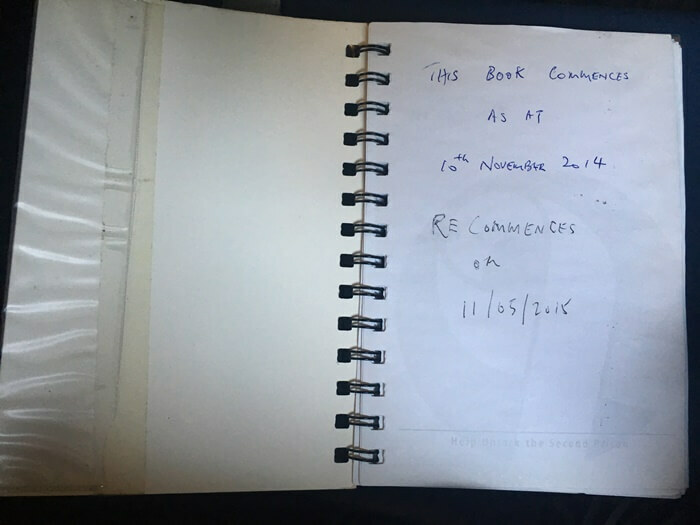 As you might expect, it’s full of praises and doodles. 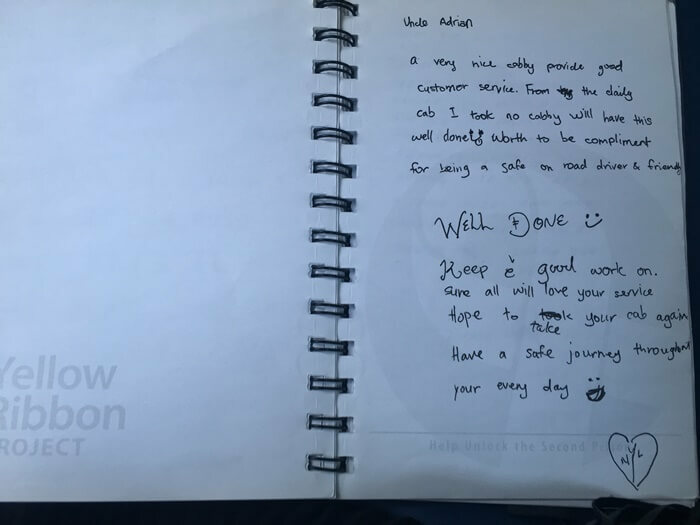 I contacted Adrian on WhatsApp, and from our brief chat, I found out that he’s been working as a taxi driver for around eight years. Adrian also revealed that he’s a recovering drug addict for the past 14 years. 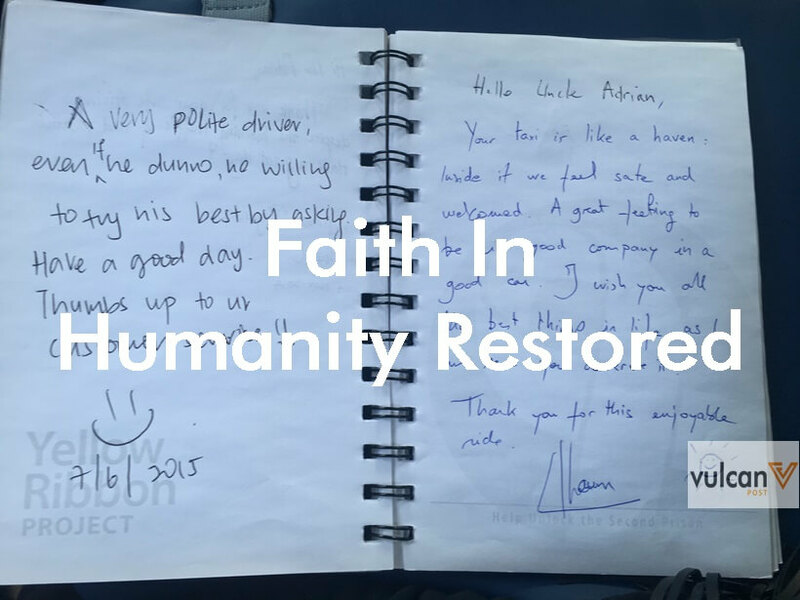 From our interview, Adrian divulged that he’s currently going through the interferon treatment. Unfortunately, it comes with a price. Interferon can cause flu-like symptoms such as muscle aches, chills and pains. However, the humble taxi driver doesn’t ask for much. Come hell or high water, he’s determined to atone for his past mistakes. “I don’t earn a lot of money working as a taxi driver. I only need to support my parents and family. I’m happy with a simple life. I try my best to provide in my own terms of atonement for the hurt and shame I’ve given them,” Adrian said. “All addicts’ past are almost the same.” He shared. 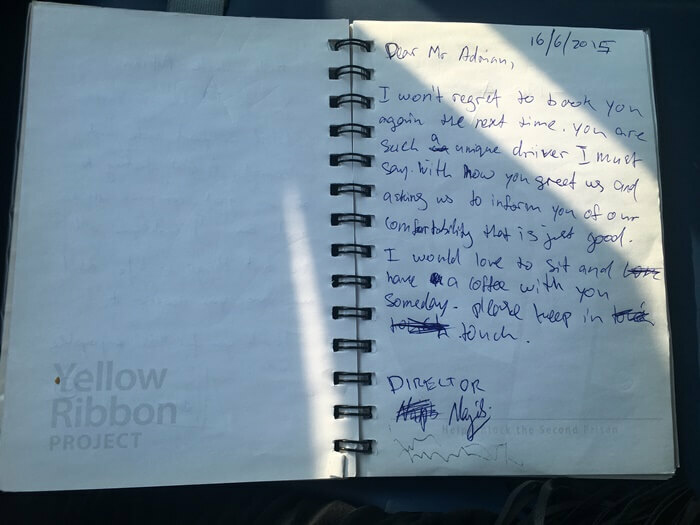 Like his passengers, Adrian treasure the cab rides he had with them. 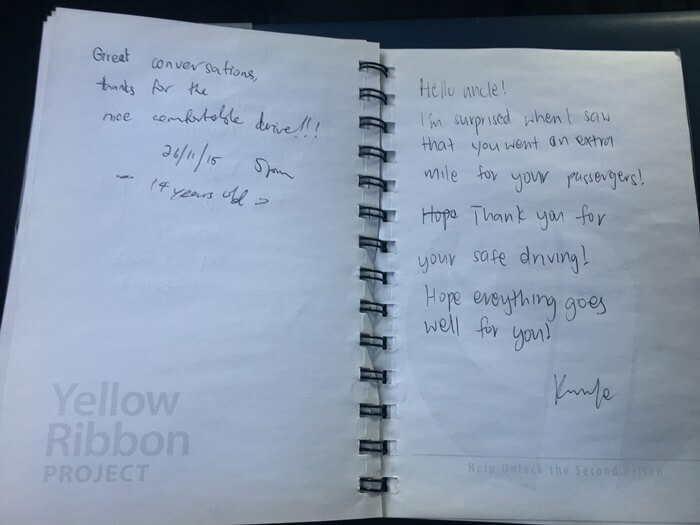 The intimate talks they’ve shared in his taxi are one of the important things that will always remain close to his heart. 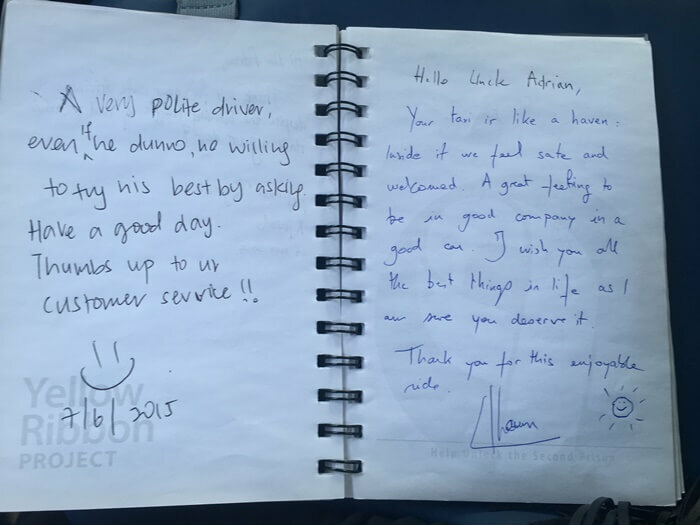 Adrian provides an impeccable service. To paraphrase from an established British author, rock bottom became the solid foundation on which he rebuilt his life. But it’s really his kindness, resilience and spirit that makes him unstoppable.